When exporting Elliott's alphanumeric fields to CSV through the Export Processor, the leading zeroes will be dropped when the file is opened with Excel. 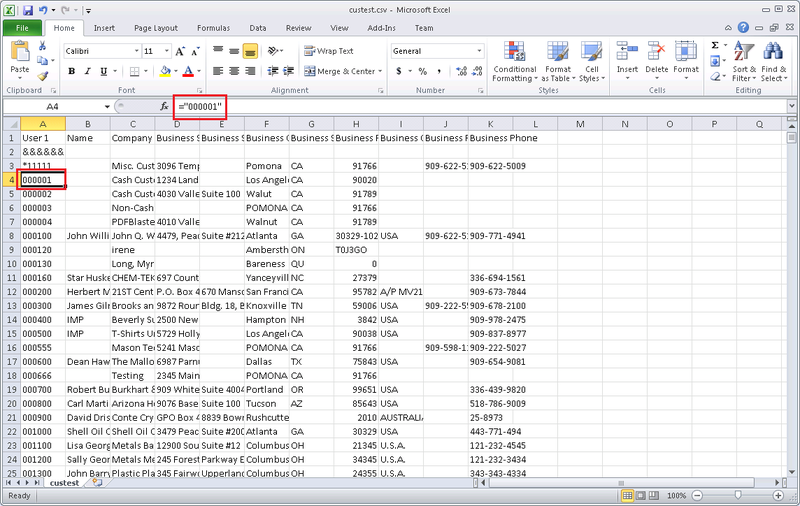 For example, when opening the CSV in Excel, item number 0100 is displayed as 100 because the leading zero is dropped. This can be addressed by placing an equal sign before the first quote when the CSV file is created. For example, item 0100 would normally be exported as "0100." With the equal sign added, it now exports as ="0100." This forces Excel to use the values within the quotes without dropping the leading zeroes. This feature addresses this issue. 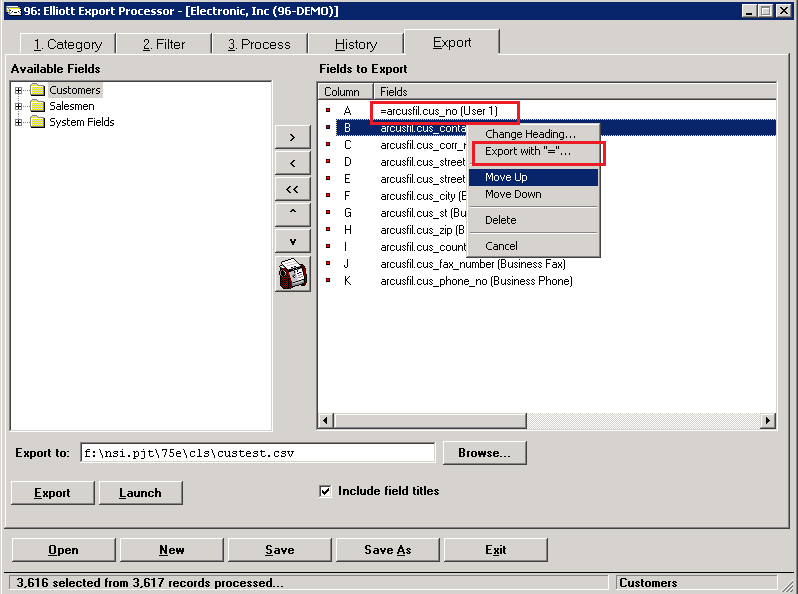 A new option has been added to the Export Processor to allow the user to choose which field should be exported with an equal sign. This feature can be enabled and disabled by pressing the right mouse button when highlighting a selected field in the list view. A new option 'Export with "="..." is available. Once chosen, an equal sign is placed in front of the field name to indicate that it will be exported with an equal sign. Here is an example of the exported file in Excel using the new equal sign option. Notice that the formula shows the equal sign before the first quote. Also, notice that the leading zeroes in the customer number field are still present.